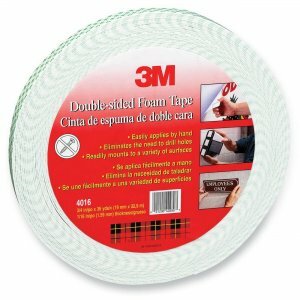 Double-coated foam tape offers high shear, high temperature-resistant acrylic adhesive. Use to mount interior signs and nameplates or fill gaps and bond irregular surfaces. 1/16" thick, open cell urethane foam tape distributes stress uniformly over a bonded area. Apply by hand or with a dispenser (sold separately).